An insurance company can be liable for malicious prosecution when it wrongfully tries to have its insured or another person charged with a crime. In one recent example, we obtained $4 million in punitive damages for a State Farm policyholder whose car was stolen from her driveway. The car was later found abandoned and destroyed; the theft was investigated by two law enforcement agencies, neither of which found the owner was to blame. State Farm and its Special Investigative Unit subsequently conducted their own investigation, and accused the owner and her brother-in-law of insurance fraud. It was later discovered that State Farm’s investigator threatened an independent witness to solicit perjury, concealed and disregarded clear exculpatory evidence, and reported false information. The insurer provided its investigation to the prosecutor in Johnson County, Kansas, and the owner and her brother-in-law were charged with felony insurance fraud. Both were acquitted after a 10-day criminal trial – but State Farm continued to deny the claim. After the acquittals, Bartimus Frickleton Robertson Rader pursued a malicious prosecution bad faith claim on behalf of the owner and her brother-in-law. After a three-week trial, the jury returned a verdict for the plaintiffs on all counts. Our clients received actual damages, attorneys’ fees and $4 million each in punitive damages. 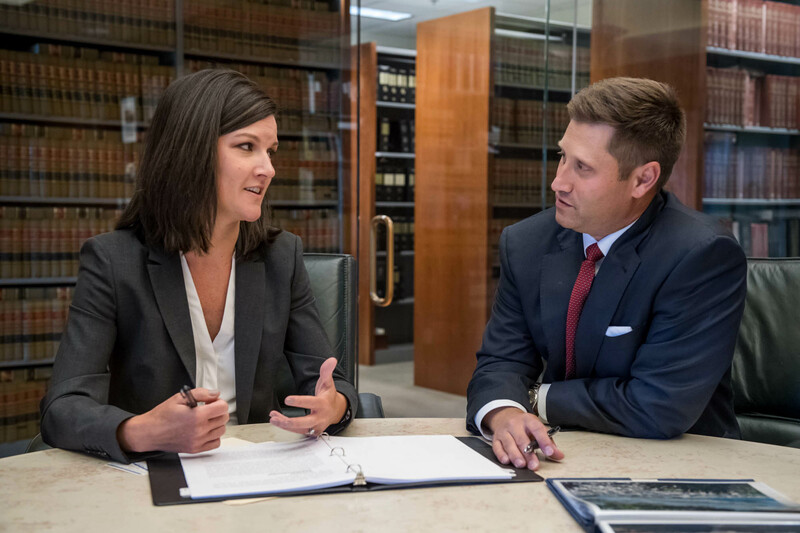 Bartimus Frickleton Robertson Rader works tirelessly for those who have been wrongfully charged without probable cause by insurance companies.